A fast-absorbing, luxurious hand cream that helps prevent dry skin. 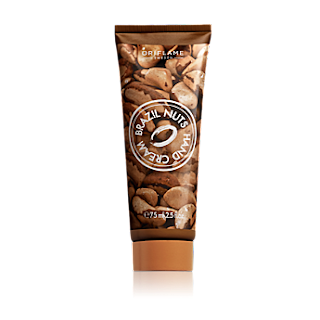 Made with nourishing Brazil Nut Oil to hydrate hands and Glycerin to retain moisture, skin is left feeling smooth and soft with a wonderful nutty scent. 75 ml.